The Free Company of Volunteers of Catalonia (Spanish: Compañía Franca de Voluntarios de Cataluña, Catalan: Companyia Franca de Voluntaris de Catalunya) was a military company of the Spanish Army serving in the Spanish colonial empire. The company was raised in Barcelona in 1767 for service in New Spain, as a part of an effort to improve the defenses of Spain's overseas empire, which in turn was part of the larger Bourbon Reforms of King Carlos III. Initially recruited from the 2nd Regiment of Light Infantry of Catalonia, the company was composed of four officers and one hundred enlisted men and was commanded by Captain Agustín Callis, a veteran of Spain's wars in Italy and Portugal. The Catalan Volunteers arrived in Guaymas, Sonora in May 1768 as a part of an expedition of some 1200 Spanish soldiers and native allies assembled to quell a revolt by Pima and Seri Indians. After years of active campaigning, the Volunteers returned to Mexico City in April 1771. In September 1768, Lieutenant Pedro Fages and a detachment of 25 Volunteers were ordered south to San Blas, Nayarit to form a part of the expedition of Gaspar de Portolà to establish a Spanish foothold in Alta California. After 110 days at sea, the Volunteers arrived at San Diego Bay in April 1769. By this time, over half the soldiers and most of the crew were incapacitated with scurvy. Twelve Volunteers succumbed to illness while awaiting the arrival of the overland arm of the expedition under Captain Fernando Javier Rivera y Moncada, who arrived a month later. Still short of provisions, however, the lot of the soldiers improved very little. Despite these privations, the Volunteers participated in the Portola expedition that established San Diego and Monterey, and remained as the first garrison of the Presidio of Monterey, under Fages' command. Volunteers accompanied Fages on expeditions to explore the San Francisco Bay region in 1770 and 1772. In June 1770, command of the military forces in California passed from Portola to the short tempered and relatively inexperienced Fages. 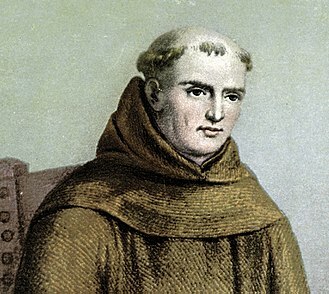 His often high handed treatment of soldiers and missionaries and his possible mishandling of the distribution of rations led to criticism from Father Junípero Serra, who successfully petitioned Viceroy Antonio María de Bucareli y Ursúa for his removal. Fages and the detachment of Volunteers left Monterey to rejoin their Company in July 1774. 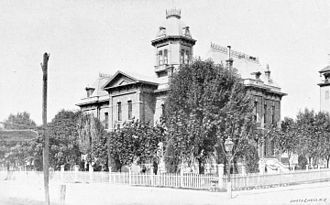 At least one of the Volunteers later returned to retire in California. Jose Antonio Yorba settled in what is now Orange County, California to become the patriarch of an important Californio family. The city of Yorba Linda, California is named for the Yorba family. In Sonora, the Catalan Volunteers served alongside the Fusileros de Montaña (Mountain Fusiliers), another independent company from Catalonia associated with the 2nd Regiment. As a part of new regulations promulgated in 1772, the two commands were merged and reorganized into two companies of 80 men and 3 officers each: The First Free Company of Volunteers of Catalonia, which included the detachment in California under Fages and remained under the command of Captain Callis, and a Second Company under Captain Antonio Pol. Both companies were based in Guadalajara. As light infantry, the Volunteers were thought to be particularly well suited for duty in the mountainous country of central Mexico. Though based in Guadalajara, detachments of Volunteers were frequently posted to the Presidio of Mesa del Tonati in the mountains of Nayarit, the Real del Monte near Mexico City, and to serve as harbor guards at San Blas, the headquarters for Spanish naval operations in the Pacific. For the most part, this service was fairly routine, except for occasional calls to quell disturbances. Fages, his reputation now rehabilitated, was promoted to Captain and assigned command of the Second Company in early 1776. At the urging of Teodoro de Croix, comandant general of the Commandancy General of the Provincias Internas, Fages and his new command were deployed to Sonora, arriving at Alamos in February 1777. The following April, the Volunteers of the Second Company were posted to the Presidio of El Pitic (modern Hermosillo) in response to renewed hostilities with the Seris, who quickly surrendered. At the urging of Lt. Col Juan Bautista de Anza, the Company was posted at the Presidio of Santa Cruz de Terrenate, which had recently been moved from its previous location to one on the San Pedro River north of modern Tombstone, Arizona, to reinforce the beleaguered garrison against the Apaches, arriving in the fall of 1778. Though Fages, now a Lieutenant Colonel, was able to restore order and discipline to the presidio, the garrison proved unable to mount an effective counter-offensive. In December 1780, with the Second Company now down to half strength, Fages left Terrenate for Mexico City for new recruits. In his absence, the Presidio was ordered abandoned, and the garrison moved to its previous location at Santa Cruz, Sonora, which was believed to be more defensible and easily supplied. The Company was soon once again posted at El Pitic, where they were employed in putting down another rebellion by the Seris. In September 1781, Fages led an expedition that included 40 men of the Second Company to the Yuma Crossing to quell a rebellion by the Quechan and their allies. Though they were able to liberate Spanish captives, secure the remains of the slain Father Francisco Garcés and recover sacred vessels from the destroyed missions of Mission Puerto de Purísima Concepción and Mission San Pedro y San Pablo de Bicuñer, Fages' command was unable to subdue the tribe. Despite two subsequent expeditions by Fages and the Second Company over the next 2 years, the crossing would remain closed to Spain. During the third expedition in the Fall of 1783, Fages was appointed Governor of California, and the Volunteers returned without him to Pitic. In subsequent years, the Volunteers of the Second Company were posted around Sonora, assigned to duties at the presidios of Buenavista, Fronteras, Pitic and Tucson where they were employed fighting the Apaches and Seris, until 1785, when they were assigned to the Villa de Chihuahua. From there, they continued active campaigning against the Apaches. Pere d'Alberní was named Captain of the First Company when Callis died in 1782. 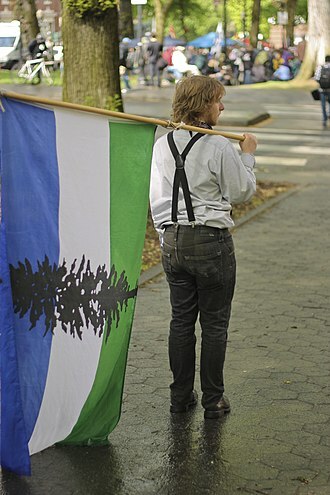 In August 1789, after years of routine garrison duty in Guadalajara, the Company was assigned to duty in the Pacific Northwest in response to the Nootka Crisis. They arrived at Nootka Sound in April 1790 where they re-established the abandoned redoubt of Fort San Miguel, becoming the first regular European military unit posted to present-day British Columbia. The Volunteer's mission was to secure Spain's claims to the Pacific Northwest against incursions by the British and, in particular, the Russians. To that end, Alberni's men were employed as marines in the expeditions of Jacinto Caamaño, Salvador Fidalgo, Dionisio Alcalá Galiano, Salvador Menéndez, and Manuel Quimper of the Pacific coast from the Strait of Juan de Fuca to Kodiak Island. 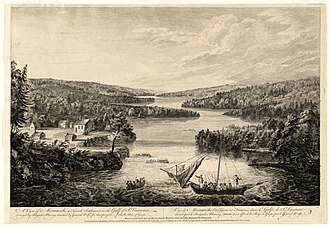 The First Company returned to Guadalajara in 1792, though some Volunteers remained on detached duty in Nootka as late as 1794. In 1796, as a response to the War of the First Coalition and rumors of American incursions, Alberni, now a Lieutenant Colonel, and his company were sent to reinforce California. Detachments of Volunteers augmented the Presidios of Monterey, San Diego, and San Francisco. Part of Alberni's mission in California was to establish a new civilian settlement called the Villa de Branciforte, which was established in 1797, with the intention that the community would be settled by retired Catalan Volunteers. This however did not materialize, and the project was abandoned in 1802. Alberni was appointed Governor of California in 1800 and was replaced as Captain by José Font. Font and his scattered command were active in guarding Spain's claim's in California against incursions by foreign vessels, particularly American ones. Despite an increase in such activity, the First Company (except for a detachment that remained in San Diego for a few more years) was withdrawn to Guadalajara in 1803 and were not replaced. Lt. Col. Alberni died in Monterey in 1802. 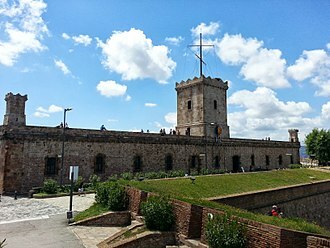 He was the last of the original group of officers who had sailed from Barcelona in 1767. By this time, the unit was no longer Catalan in character with men and even officers largely from other parts of Spain and criollos from Mexico. In 1810 the Volunteers were mobilized against the revolt of Miguel Hidalgo y Costilla. The First Company, still posted at Guadalajara, was reorganized and absorbed into other units. As the Mexican War of Independence escalated, the Second Company, posted at El Perote near Mexico City under Captain Juan Antonio de Viruega since 1800, was deployed to Morelos to join an army under General Calleja in a massive campaign against the insurgency. During the Siege of Cuautla in 1812, the Volunteers were assigned to man an ambuscade at the Campo de Sacatepec. 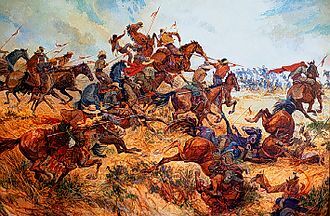 Though Calleja later praised their valiant stand, the Second Company was unable to prevent the escape of scrappy rebels under José María Morelos and suffered heavy casualties. 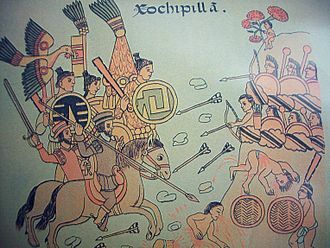 The Volunteers managed to survive as a Company, participating in the battles of Tuxpango, Tlacótepe, and Ajuchitlán, through 1815, by which time they were no longer a discrete unit, having been absorbed into larger battalions. Its uniform consisted of blue coat with yellow collar and cuffs, yellow waistcoat, blue breeches and black tricorne hat with the red cockade of the House of Bourbon. There were two drummers on the strength of the company. After 1760, Spanish army drummers wore the livery of the King of Spain – a blue coat with scarlet collar and cuffs, along with a scarlet waistcoat. Both coat and waistcoat were trimmed with scarlet lace that was embroidered with a white chain pattern. This same pattern of lace had decorated French uniforms before the French Revolution began in 1789. The Bourbon kings of Spain were a branch of the French royal family, and adopted a similar livery. The crest of the Defense Language Institute at the Presidio of Monterey includes an image of a feathered leather helmet that is meant to symbolize the Catalan Volunteers and to commemorate their role in the founding of the post. Though such helmets were briefly a uniform item for the Spanish infantry at the turn of the 19th century, it is unlikely that they were ever worn by the Catalan Volunteers in North America. The Catalan Volunteers are portrayed in the 1955 American film Seven Cities of Gold, which presents a fanciful and historically inaccurate account of the founding of Spanish California. Lieutenant Fages is played by Mexican actor Victor Junco. In the credits, Fages' name is misspelled as "Faces." An infantry soldier wearing a Catalan Volunteer uniform briefly appears in the opening scene of the 1968 film Guns of San Sebastian which, like Seven Cities of Gold, stars Anthony Quinn. However, the movie is supposed to take place in 1746, twenty years before the Volunteers' arrival in New Spain. ^ Chartrand 2000, The Nootka Incident. ^ "Crest". Defense Language Institute. The Pima /ˈpiːmə/ are a group of Native Americans living in an area consisting of what is now central and southern Arizona. They are closely related to other people, the Ak-Chin Oodham. They are related to the Sobaipuri, whose descendants reside on the San Xavier Indian Reservation or Wa, k, and in the Salt River Indian Community. Together with the kindred Tohono Oodham of Eastern Papagueria, and the Hia C-ed Oodham of the Western Papagueria, the Akimel Oodham form the Upper Ootham or Upper Pima. The short name, Pima, is believed to have come from the phrase pi añi mac or pi mac, meaning I dont know, the latter referred to them as the Pima. This term was adopted by English speakers, traders and settlers, the Pima Indians called themselves Othama until the first account of interaction with non-Native Americans was recorded. Spanish missionaries recorded Pima villages known as Kina and Uturituc, European Americans corrupted the miscommunication into Pimos, which was adapted to Pima river people. The Akimel OOtham are a subgroup of the Upper Ootham or Upper Pima and they are thought to be culturally descended from the group classified in archaeology as the Hohokam. The term Hohokam is a derivative of the Ootham word Huhugam, the Pima Alto or Upper Pima groups were subdivided by scholars on the basis of cultural and linguistic differences into two main groupings, One was known commonly as the Pima or River Pima. Since the late 20th century, they have called by their own name, or autonym, Akimel Ootham Akimel Ootham Onk Akimel Oodham. Keli Akimel Ootham, now known as the Gila River Indian Community Ak-Chin OOdham, Ak-Chin Indian Community Sobaipuri, in the early 18th century, they were gradually driven out of the lower San Pedro River valley. In the middle of the century, their settlements along the upper San Pedro River were broken up by Arivaipa. They moved west, seeking refuge among the Tohono Oodham and Akimel Oodham, the other people was known commonly as the Papago or Desert Pima. Sonora, officially the Free and Sovereign State of Sonora, is one of 31 states that, with Mexico City, comprise the 32 federal entities of Mexico. It is divided into 72 municipalities, the city is Hermosillo. Sonora is located in Northwest Mexico, bordered by the states of Chihuahua to the east, Baja California to the northwest and Sinaloa to the south. To the north, it shares the U. S. –Mexico border with the states of Arizona and New Mexico, and on the west has a significant share of the coastline of the Gulf of California. Sonoras natural geography is divided into three parts, the Sierra Madre Occidental in the east of the state and rolling hills in the center, and the coast on the Gulf of California. It is primarily arid or semiarid deserts and grasslands, with only the highest elevations having sufficient rainfall to support other types of vegetation, Sonora is home to eight indigenous peoples, including the Mayo, the Yaqui, and Seri. It has been important for its agriculture and mining since the colonial period. With the Gadsden Purchase, Sonora lost more than a quarter of its territory, from the 20th century to the present, industry and agribusiness have dominated the economy, attracting migration from other parts of Mexico. Several theories exist as to the origin of the name Sonora and they encountered the Opata, who could not pronounce Señora, instead saying Senora or Sonora. A third theory, written by Father Cristóbal de Cañas in 1730, states that the name comes from the word for a water well, sonot. The first record of the name Sonora comes from explorer Francisco Vásquez de Coronado, Francisco de Ibarra traveled through the area in 1567 and referred to the Valles de Señora. Evidence of human existence in the dates back over 10,000 years. The first humans were hunter gatherers who used tools made from stones, seashells. During much of the period, the environmental conditions were less severe than they are today, with similar. The oldest Clovis culture site in North America is believed to be El Fin del Mundo in northwestern Sonora and it was discovered during a 2007 survey. The Californio era was from the first Spanish presence established by the Portolá expedition in 1769 until the regions cession to the United States of America in 1848. Non-Spanish-speaking immigrants who 1) became naturalized Mexican citizens, 2) married Californios, such residents, by these actions, became eligible to own land and receive rancho grants from the Mexican government. Most such grants occurred after mission secularization in the 1830s, an even looser definition may include descendants of Californios, especially those who married other Californio descendants. The much larger population of non-Spanish-speaking indigenous peoples of California who lived in the prior to. Many Californios, were the California-born children of non-Spanish speakers who married Spanish speakers, such spouses usually converted to the Catholic faith and, after Mexico became independent of Spain in 1821, often became naturalized Mexican citizens. The military and civil components of pre-1848 Californio society were embodied in the presidios, missions. After secularization, the Mexican authorities divided most of the lands into new ranchos. The Spanish colonial and Mexican national governments encouraged settlers from the northern and western provinces of Mexico, People from other parts of Latin America did settle in California. However, only a few official colonization efforts were ever undertaken—notably the second expedition of Juan Bautista de Anza, children of those few early settlers and retired soldiers became the first Californios. Sporadic colonization efforts continued under Mexican rule, including the Hijar-Padres group of 1834, One genealogist estimated that, by 2004, between 300,000 and 500,000 Californians were descendants of Californios. Alta California was nominally controlled by a national-government appointed governor, the governors of California were at first appointed by the Viceroy, and after 1821 by the approximate 40 Mexican Presidents from 1821 to 1846. The costs of the minimum Alta California government were paid by means of a roughly 40–100% import tariff collected at the entry port of Monterey. Guadalajara is the capital and largest city of the Mexican state of Jalisco, and the seat of the municipality of Guadalajara. The city is in the region of Jalisco in the Western-Pacific area of Mexico. With a population of 1,495,189 it is Mexicos fourth most populous municipality, the municipality is the second most densely populated in Mexico, the first being Ciudad Nezahualcóyotl in the State of Mexico. It is a business and economic center in the Bajio region. Guadalajara is the 10th largest city in Latin America in population, urban area, the city is named after the Spanish city of Guadalajara, the name of which came from the Andalusian Arabic wād l-ḥijāra, meaning river/valley of stones. Other, more industries, such as shoes, textiles. Guadalajara, one of the most popular clubs in Mexico. This city was named the American Capital of Culture for 2005, Guadalajara hosted the 2011 Pan American Games. The city was established in five other places before moving to its current location, the first settlement in 1532 was in Mesa del Cerro, now known as Nochistlán, Zacatecas. This site was settled by Cristóbal de Oñate as commissioned by Nuño de Guzmán, with the purpose of securing recent conquests, the settlement did not last long at this spot due to the lack of water, in 1533 it was moved to a location near Tonalá. Four years later, Guzmán ordered that the village be moved to Tlacotán, while the settlement was in Tlacotán, the Spanish king Charles I granted the coat of arms that the city still has today. This settlement was attacked during the Mixtón War in 1543 by Caxcan, Portecuex. The war was initiated by the due to the cruel treatment of Indians by Nuño de Guzmán. Viceroy Antonio de Mendoza had to control of the campaign to suppress the revolt after the Spanish were defeated in several engagements. The conflict ended after Mendoza made some concessions to the Indians such as freeing the Indian slaves, the village of Guadalajara barely survived the war, and the villagers attributed their survival to the Archangel Michael, who remains the patron of the city. Tombstone is a historic city in Cochise County, United States, founded in 1879, by Ed Schieffelin in what was Pima County, Arizona Territory. 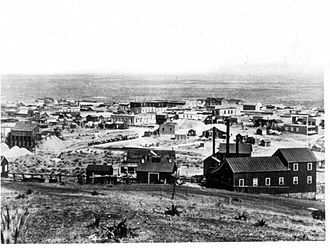 It was one of the last wide-open frontier boomtowns in the American Old West, the town prospered from about 1877 to 1890, during which time the towns mines produced US$40 to $85 million in silver bullion, the largest productive silver district in Arizona. Its population grew from 100 to around 14,000 in less than seven years and it is best known as the site of the Gunfight at the O. K. Corral and now draws most of its revenue from tourism. The town was established on a mesa above the Tough Nut Mine, all of these were situated among and on top of a large number of dirty, hardscrabble mines. Under the surface were tensions that grew into deadly conflict, the mining capitalists and the townspeople were largely Republicans from the Northern states. Many of the ranchers were Confederate sympathizers and Democrats, the booming city was only 30 miles from the U. S.
–Mexico border and was an open market for cattle stolen from ranches in Sonora, Mexico, by a loosely organized band of outlaws known as The Cowboys. The Earp brothers—Virgil, Wyatt and Warren—arrived in December 1879 and they had ongoing conflicts with Ike, Billy Clanton, Tom McLaury, and other Cowboys members. The Cowboys repeatedly threatened the Earps over many months until the conflict escalated into a shootout on October 26,1881, the now-famous gunfight is often portrayed as occurring at the O. K. Corral, but the actual gunfight was on Fremont Street a block or two away. In the mid-1880s, the silver mines penetrated the water table, a fire in 1886 destroyed the Grand Central hoist and the pumping plant, and it was unprofitable to rebuild the costly pumps. The city nearly became a ghost town, saved only because it was the Cochise County seat until 1929, the citys population dwindled to a low of 646 in 1910, but grew to 1,380 by 2010. Tombstone has frequently noted on lists of unusual place names. 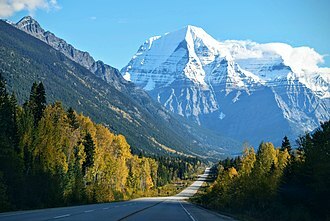 Ed Schieffelin was briefly a scout for the U. S. Army headquartered at Camp Huachuca, Schieffelin frequently searched the wilderness looking for valuable ore samples. At the Santa Rita mines in nearby Santa Cruz Valley, three superintendents had been killed by Indians. When friend and fellow Army Scout Al Sieber learned what Schieffelin was up to, he is quoted as telling him, another account reported Schieffelins friends told him, Better take your coffin with you, you will find your tombstone there, and nothing else. In 1877, Schieffelin used Brunckows Cabin as a base of operations to survey the country, after many months, while working the hills east of the San Pedro River, he found pieces of silver ore in a dry wash on a high plateau called Goose Flats. It took him several months to find the source. When he located the vein, he estimated it to be fifty feet long, Schieffelins legal mining claim was sited near Lenoxs grave site, and on September 21,1877, Schieffelin filed his first claim and fittingly named his stake Tombstone. 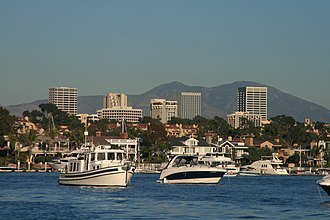 San Diego Bay is a natural harbor and deepwater port located in San Diego County, California near the U. S. –Mexico border. 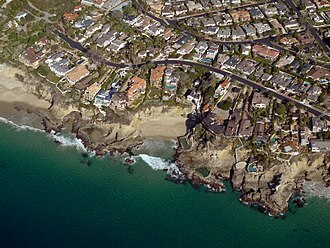 The highly urbanized land adjacent to the bay includes the city of San Diego and four cities, including National City, Chula Vista, Imperial Beach. Considered to be one of the best natural harbors on the west coast of North America, San Diego Bays commercial port has two container ship facilities and a cruise ship terminal. A second cruise terminal opened in December 2010. The port handles more than 3 million metric tons of cargo yearly, San Diego International Airport is adjacent to the bay, across Harbor Drive from the Coast Guard Station. The bay is spanned by the San Diego–Coronado Bridge, built in 1969, the bridge curves and rises to a height of 200 feet above the water so that Navy ships can pass under it. The bridge was originally a bridge, toll collection was discontinued in 2002. Americas Cup Harbor has several boat yards and marinas for private sailing yachts, numerous resorts and the San Diego Convention Center are adjacent to the Bay. Several parks and nature preserves are found at locations along the shoreline. Sightseeing boats depart from the downtown area, commercial sport fishing and whale watching tours depart from Shelter Island. Ten museum ships call San Diego Bay home and they include the USS Midway, an aircraft carrier museum, and the Star of India, the oldest iron-hulled merchant ship afloat and the worlds oldest active sailing ship. In the northern part of the bay there are two islands called Harbor Island and Shelter Island. They were built up from former sand bars and now hold hotels, restaurants and public parkland. Small boat sailing is extremely popular, and the bay is lined by dozens of marinas and nine yacht clubs, an inlet of the bay was renamed Americas Cup Harbor to commemorate that occasion. An annual fireworks display called the Big Bay Boom is held on the Fourth of July over the waters of the Bay, fireworks are launched simultaneously from four barges in the Bay as well as from a pier in Imperial Beach. Charles III was the King of Spain and the Spanish Indies from 1759 to 1788. While he was the son of Philip V of Spain, he was the eldest son of Philips second wife. In 1731, the 15-year-old Charles became the Duke of Parma and Piacenza, as Charles I, following the death of his childless granduncle Antonio Farnese. In 1734, as Duke of Parma, he conquered the kingdoms of Naples and of Sicily, and was crowned king on 3 July 1735, reigning as Charles VII of Naples and Charles V of Sicily until 1759. In 1738 he married Princess Maria Amalia of Saxony, daughter of Polish king Augustus III, Charles and Maria Amalia resided in Naples for 19 years. Charles succeeded to the Spanish throne on 10 August 1759, after the death of his half-brother King Ferdinand VI of Spain who left no heirs. As King of Spain Charles III made far-reaching reforms such as promoting science and university research, facilitating trade and commerce and he tried to reduce the influence of the Church and avoided costly wars. His previous experience as King of Naples and Sicily proved valuable as King of Spain and he did not achieve complete control over the States finances, and was sometimes obliged to borrow to meet expenses. Most of his reforms proved to be successful and his important legacy lives on to this day, historian Stanley Payne wrote that Charles III was probably the most successful European ruler of his generation. 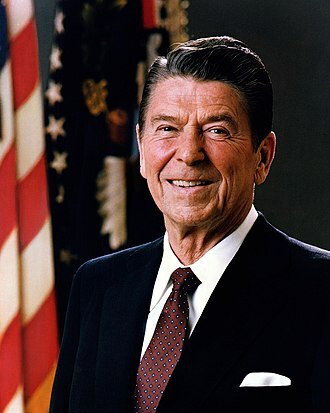 He had provided firm, intelligent leadership, personal life had won the respect of the people. 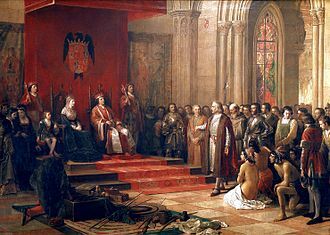 In 1713, the Treaty of Utrecht concluded the War of the Spanish Succession and reduced the political and military power of Spain, which the House of Bourbon had ruled since 1700. Moreover, the House of Savoy gained the Kingdom of Sicily, and the Kingdom of Great Britain gained the island of Minorca, in 1700, Charles father, originally a French prince, became King of Spain as Philip V. For the remainder of his reign, he attempted to regain the ceded territories. Elisabeth and Philip married on 24 December 1714, she proved a domineering consort. On 20 January 1716, Elisabeth gave birth to the Infante Charles of Spain at the Real Alcázar of Madrid and he was fourth in line to the Spanish throne, after three elder half-brothers, the Infante Luis, Prince of Asturias, the Infante Felipe, and Ferdinand. Founded as a Roman city, in the Middle Ages Barcelona became the capital of the County of Barcelona. Barcelona has a cultural heritage and is today an important cultural centre. Particularly renowned are the works of Antoni Gaudí and Lluís Domènech i Montaner. The headquarters of the Union for the Mediterranean is located in Barcelona, the city is known for hosting the 1992 Summer Olympics as well as world-class conferences and expositions and many international sport tournaments. It is a cultural and economic centre in southwestern Europe, 24th in the world. In 2008 it was the fourth most economically powerful city by GDP in the European Union, in 2012 Barcelona had a GDP of $170 billion, it is leading Spain in both employment rate and GDP per capita change. In 2009 the city was ranked Europes third and one of the worlds most successful as a city brand, since 2011 Barcelona has been a leading smart city in Europe. During the Middle Ages, the city was known as Barchinona, Barçalona, Barchelonaa. Internationally, Barcelonas name is abbreviated to Barça. However, this refers only to FC Barcelona, the football club. The common abbreviated form used by locals is Barna, another common abbreviation is BCN, which is the IATA airport code of the Barcelona-El Prat Airport. The city is referred to as the Ciutat Comtal in Catalan. The origin of the earliest settlement at the site of present-day Barcelona is unclear, the ruins of an early settlement have been excavated in the El Raval neighbourhood, including different tombs and dwellings dating to earlier than 5000 BC. The founding of Barcelona is the subject of two different legends, the first attributes the founding of the city to the mythological Hercules. 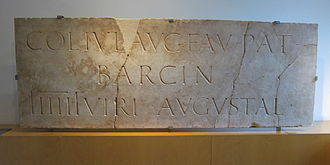 In about 15 BC, the Romans redrew the town as a castrum centred on the Mons Taber, under the Romans, it was a colony with the surname of Faventia, or, in full, Colonia Faventia Julia Augusta Pia Barcino or Colonia Julia Augusta Faventia Paterna Barcino. It enjoyed immunity from imperial burdens, the city minted its own coins, some from the era of Galba survive. Light infantry are soldiers whose job was to provide a skirmishing screen ahead of the main body of infantry and delaying the enemy advance. Light infantry was distinct from medium, heavy or line infantry, heavy infantry were dedicated primarily to fighting in tight formations that were the core of large battles. Heavy infantry originally had heavier arms and more armour than light infantry, as with so called light infantry of periods, the term more adequately describes the role of such infantry rather than the actual weight of their equipment. Peltast equipment, for example, grew steadily heavier at the time as hoplite equipment grew lighter. It was the fact that peltasts fought in order as skirmishers that made them light infantry. Early regular armies of the era frequently relied on irregulars to perform the duties of light infantry skirmishers. In the 18th and 19th centuries most infantry regiments or battalions had a company as an integral part of its composition. Its members were often smaller, more men with high shooting ability and capability of using initiative. They did not usually fight in disciplined ranks as did the infantry but often in widely dispersed groups. They were expected to avoid melee engagements unless necessary, and would fight ahead of the line to harass the enemy before falling back to the main position. Light infantry sometimes carried lighter muskets than ordinary infantrymen while others carried rifles and these became designated as rifle regiments in Britain and Jäger regiments in German speaking Europe. In France, during the Napoleonic Wars, light infantry were called voltigeurs and chasseurs, the Austrian army had Grenzer regiments from the middle of the 18th century, who originally served as irregular militia skirmishers recruited from mountainous frontier areas. Light infantry officers sometimes carried muskets or rifles, rather than pistols, orders were sent by bugle or whistle instead of drum. Some armies, including the British and French, recruited whole regiments of light infantry, by the late 19th century the concept of fighting in formation was on the wane due to advancements in weaponry and the distinctions between light and heavy infantry began to disappear. The War of the Austrian Succession involved most of the powers of Europe over the question of Maria Theresas succession to the Habsburg Monarchy. The war included King Georges War in British America, the War of Jenkins Ear, the First Carnatic War in India, the Jacobite rising of 1745 in Scotland, and the First and Second Silesian Wars. Austria was supported by Great Britain and the Dutch Republic, the enemies of France, as well as the Kingdom of Sardinia. France and Prussia were allied with the Electorate of Bavaria, the war ended with the Treaty of Aix-la-Chapelle in 1748, by which Maria Theresa was confirmed as Archduchess of Austria and Queen of Hungary, but Prussia retained control of Silesia. But the peace was soon to be shattered, when Austrias desire to recapture Silesia intertwined with the political changes in Europe. In 1740, after the death of her father, Charles VI, Maria Theresa succeeded him as Queen of Hungary and Bohemia, Archduchess of Austria and Duchess of Parma. The complications involved in a female Habsburg ruler had been long foreseen, problems began when King Frederick II of Prussia violated the Pragmatic Sanction and invaded Silesia on 16 December 1740, using the 1537 Treaty of Brieg as a pretext. For much of the century, France approached its wars in the same way. It would let its colonies defend themselves, or would offer only minimal help, several long land borders made an effective domestic army imperative for any ruler of France. At the end of the war, France gave back its European conquests, the British—by inclination as well as for pragmatic reasons—had tended to avoid large-scale commitments of troops on the Continent. 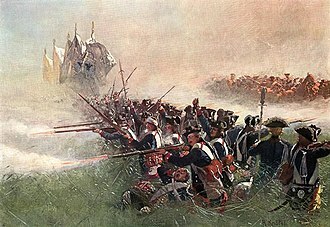 For the War of the Austrian Succession, the British were allied with Austria, by the time of the Seven Years War, they were allied with its enemy, Prussia. In marked contrast to France, Britain strove to prosecute the war in the colonies once it became involved in the war. The British pursued a strategy of naval blockade and bombardment of enemy ports. They would harass enemy shipping and attack enemy outposts, frequently using colonists from nearby British colonies in the effort and this plan worked better in North America than in Europe, but set the stage for the Seven Years War. French light infantry in the woods during the Napoleonic era, by Victor Huen. 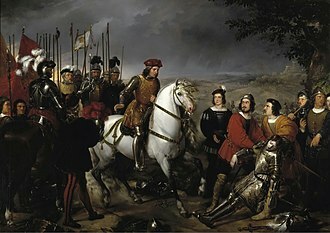 El gran capitan at the Battle of Cerignola. Iberian-born pope Alexander VI promulgated bulls that invested the Spanish monarchs with ecclesiastical power in the newly found lands overseas. Gomphotheres (reconstructed) were hunted in Sonora by ancient Clovis hunters. Sayulita off Nayarit's Pacific coast, a former fishing village now mostly given over to tourism, part of the area now marketed as "La Riviera Nayarita" or "Nuevo Vallarta"
The state capital, Tepic, seen from the Cerro de la Cruz. Tepic is home to some 340,000 people. Beach at Border State Park; San Diego is on the right while Tijuana, Mexico is on the left. Aerial panorama of the northern Bay, the Bay Bridge, Golden Gate, and Marin Headlands on a clear morning. November 2014 photo by Doc Searls. March 19, 1770: Serra rejoices at the sight of the supply ship San Antonio on the horizon beyond San Diego Bay. The San Carlos rests at anchor offshore. 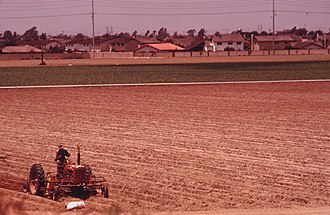 One of the few remaining farms near the ocean, 1975. Photo by Charles O'Rear. The Red Lone Star Flag of California was a symbol of the Californio Revolt of 1836, led by Juan Bautista Alvarado. Battle of San Pascual, a rousing Californio victory led by Don Andrés Pico against a superior force led by Gen. Stephen W. Kearny. 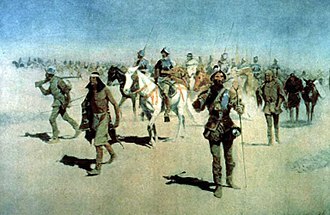 Kearny had underestimated Californio anger toward John C. Fremont, and his troops were tired after crossing the desert from New Mexico. Jessamyn West Park sign on Yorba Linda Blvd. Statue by Dorr Bothwell in Riverside, California. Tombstone in 1881 by C. S. Fly. Apache rawhide playing cards c. 1875–1885, collection of NMAI. Left to right by row, from top to bottom: Chihuahua cityscape featuring Cerro Grande, The Angel of Liberty monument, Metropolitan Cathedral of Chihuahua, Semilla Museum Center of Science and Technology, Glorieta for Pancho Villa, Chihuahua cityscape featuring District 1, Government Palace of Chihuahua, District 1 neighborhood, Quinta Gameros University Cultural Center, The State Supreme Tribunal of Justice building. Quinta Gameros, a Porfirian-era mansion that now houses a museum. Plaza Mayor after a snowfall. Bridges being built in the city, circa September 2005. The growing traffic in the city caused a massive construction plan for more and better roads. Heavy snowfall and freezing rain are common on the Coquihalla Highway in British Columbia. 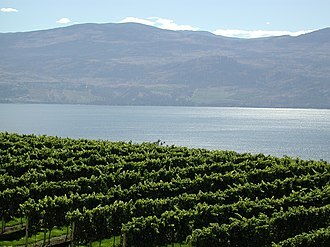 The Okanagan region has a climate suitable to vineyards. A ceremonial color guard of the United States Marine Corps. Spanish soldiers of the Airborne Brigade in Afghanistan. 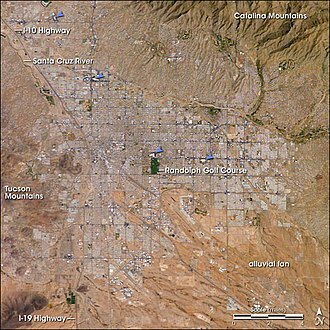 Tucson, as seen from space. The four major malls are indicated by blue arrows. During wintertime, snow may fall in Tucson on rare occasions. Panoramic view of Hermosillo, Judicial Power of the State of Sonora, View of the city, Sculpture, Fountain three boulevard, Hermosillo Tower, Catedral de la Asuncion in Hermosillo, Government Palace of Sonora. Teodoro de Croix, first Captain General of the Provincias Internas.